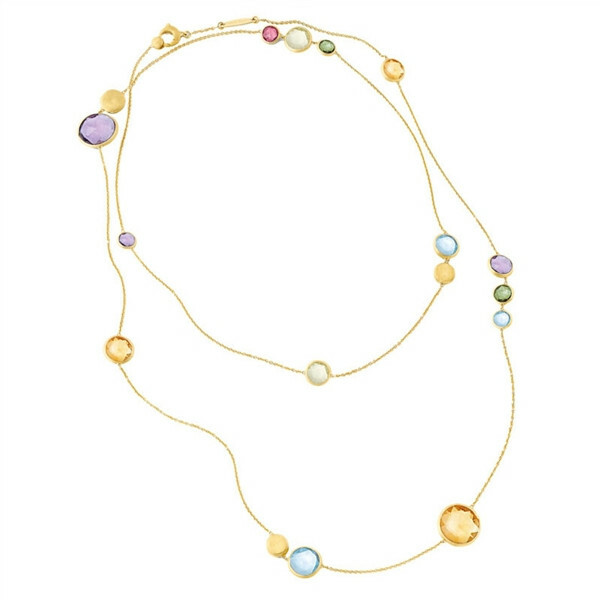 You will love the color vibe you receive with this amazing Marco Bicego necklace from the Jaipur collection. A luxurious 18kt yellow gold chain is brilliantly embellished with a fabulous mix of rose cut cushion gemstones, and each gem is surrounded by a golden frame that has a silky finish through the Bulino technique. With 36" in length, creating fresh new looks with this stunning Marco Bicego necklace will be endless!